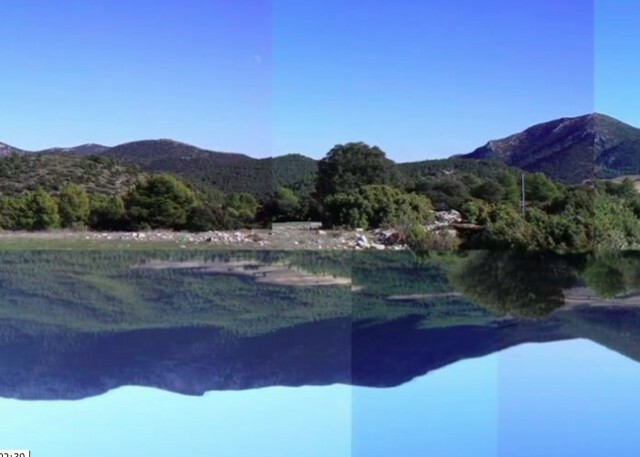 During my time at Cortijada Los Gazquez, an “off-grid” artist’s residency in the Sierra Nevada Mountain Range near Velez Blanco in Almeria, Spain, I produced these video works. The surrounding area was strikingly similar to the natural areas surrounding my childhood home in Northern California. 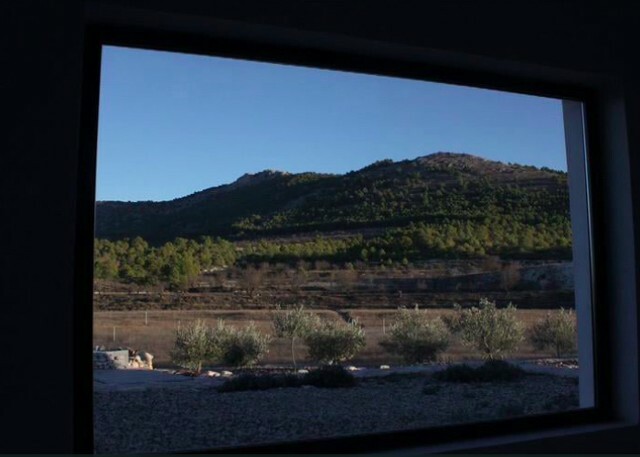 The scent of rosemary warming in the sun and crushed chamomile on the footpaths, the linear crops of almond trees and Spanish place names recalled a very familiar place just as my desire to mythologize the sunlit vistas surrounding me did. While in residence I was considering Western culture’s relationship to landscape as metaphor and symbol. The “familiar” landscape became a place to project my romantic impulses onto, which are as much informed by a primitivist, back-to-the land ideal as they are formed by the sublime gestures of the Hudson River Valley painters and monumental artworks depicting the American West by Albert Bierstadt and Ansel Adams. My feelings about the landscape at Cortijada Los Gazquez were equally informed by my lack of information: I did not have a relationship with that place that entailed labor, survival, difficulty or the joys and sorrows of a life lived close to it. By mediating my convoluted experience through the camera lens I am recalling ideals about unfettered landscape and the vista.